Mothman is a moth-like creature reportedly seen in the Point Pleasant area of West Virginia from 15 November 1966 to 15 December 1967. The first newspaper report was published in the Point Pleasant Register dated 16 November 1966, titled “Couples See Man-Sized Bird…Creature…Something”. Some people thought that Mothman was a mutant, spawned from local chemical and weapons dumps. Some thought that he was the “the curse of Chief Cornstalk,” a Shawnee leader who had been treacherously murdered in Point Pleasant in 1777, and who had finally gotten around to exacting his revenge. Things got ugly on December 15, 1967, when the Silver Bridge, which connected Point Pleasant to neighboring Kanauga, Ohio, suddenly collapsed into the Ohio River, killing 46 people trapped in rush-hour traffic. Some claimed that the catastrophe was triggered by a sonic boom from Mothman’s wings. Others believed that Mothman had been sent to warn the people of Point Pleasant, although his message was obviously lost in translation. 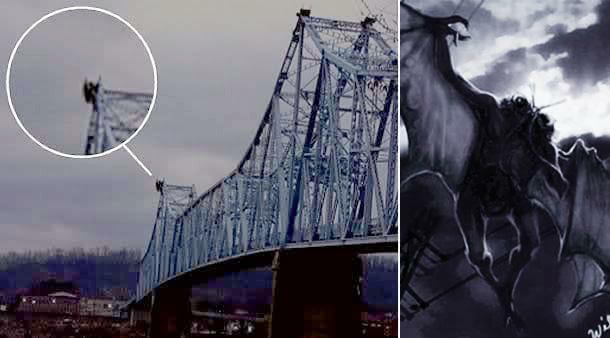 Whatever the connection may have been, Mothman disappeared after the bridge fell down. Literally translated as “goat sucker” in Spanish, reports of Chupacabra spread from Puerto Rico to Mexico, Chile, Brazil and into the United States, from Texas to Florida, Michigan, Maine and even Oregon. Similar reports began accumulating from other locations in Latin America and the U.S. Then came sightings of evil-looking animals, variously described as dog-like, rodent-like or reptile-like, with long snouts, large fangs, leathery or scaly greenish-gray skin and a nasty odor. Locals put two and two together and assumed the ugly varmints were responsible for the killings. According to legend, the dreaded Mongolian Death Worm — which local people call olgoi-khorkhoi or loosely translated, “large intestine worm” — has lived up to its name. It can kill in several fearsome ways, including spitting a stream of corrosive venom that is lethal to anything it hits, and if that doesn’t do the trick it is said to be able to electrocute its victims from a distance. Rarely seen and never photographed, it was mentioned in a 1926 book by paleontologist Roy Chapman Andrews, who didn’t believe in the animal’s existence but noted that stories of it circulated in Mongolia. For hundreds of years, people have reported seeing hairy, man-like creatures on two legs in the forests and mountainous areas of North America and around the world. The term “bigfoot” was coined in 1958, when bulldozer operator Jerry Crew found and cast large tracks at Bluff Creek, California. Sightings put the creature at between 2-3 meters tall, around 230kg and covered in dark reddish hair – not dissimilar to that of an Organutan. The legend stems back to the indigenous population of the Pacific Northwest who would be would terrified of the “skoocooms” – essentially a tribe of cannibalistic wild men living at the peak of the mountains. Somewhere in the depths of the Hawkesbury River in New South Wales lurks the long lost cousin of Nessie the Loch Ness Monster, according to Australian naturalist Rex Gilroy. Rex, a Katoomba-based author and head of the Australian Unknown Animals Investigation Centre, claims the beast is alive and well and using the central coast as a breeding ground. And he says he has hundreds of reports to prove it – detailed sightings of the creature collected by himself and his wife Heather over the last 30 years, the most recent in November 2000. Descriptions of the Hawkesbury Monster liken it to the prehistoric plesiosaur, an aquatic dinosaur 70 million years extinct. According to the 57-year-old naturalist, stories about the creatures in Australia date back to before the first white settlers and are a part of Aboriginal folklore.